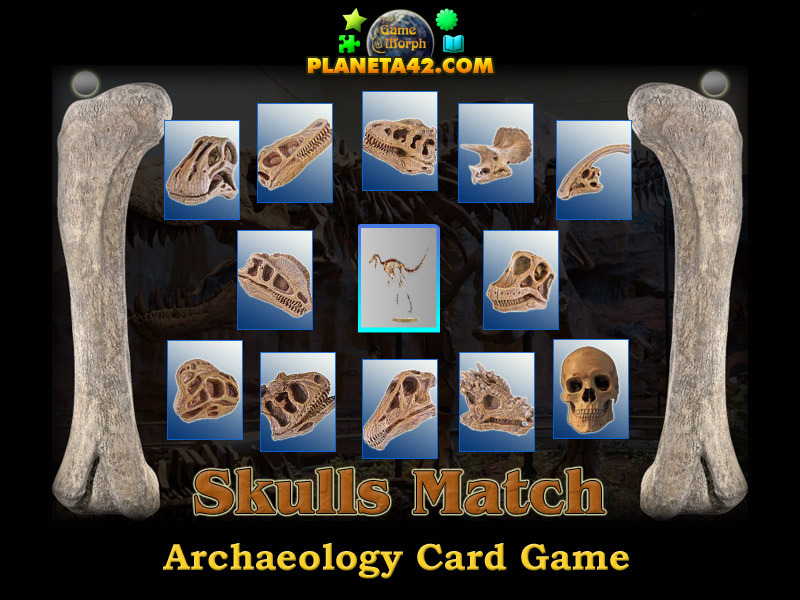 12 mesozoic dinosaur skulls in a fun online archaeology memory card game. 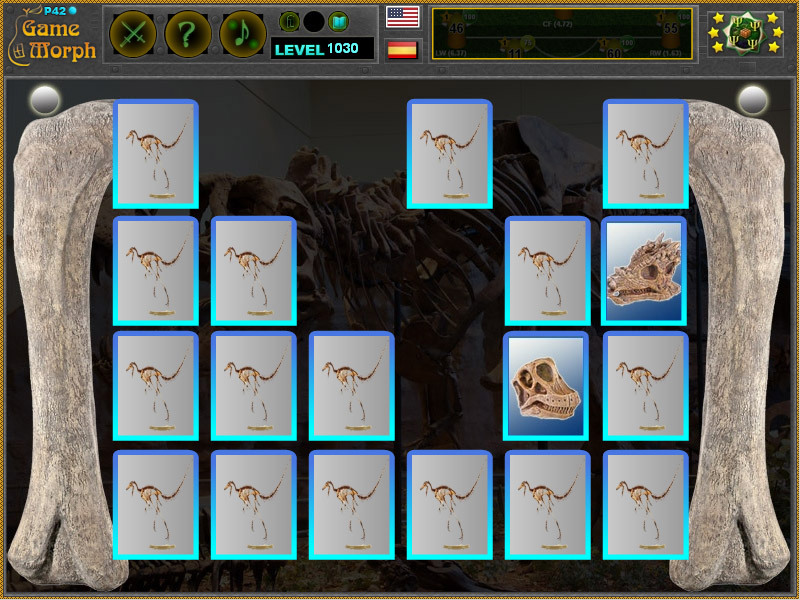 "Skulls Match Game" is a free online knowledge level game, to memorise the skulls of 11 popular dinosaurs and one lost time traveller. A small card game for desktop computers, laptops and tablets, which may be played in the web browser. The Archaeology Knowledge Board include pictures of 12 extinct dinosaurs and their skulls, to play with. How to play Skulls Match Game. Memorise at leasr 3 dinosaur skulls. A few intact dinosaur skulls have remained from the mesosoic era. Here are the dinosaur skulls included in this fun memory card game. Labels: Paleontology Games , Card Games , Dinosaur Games , Skeleton Games, Education Games , Free Online Games.